1. 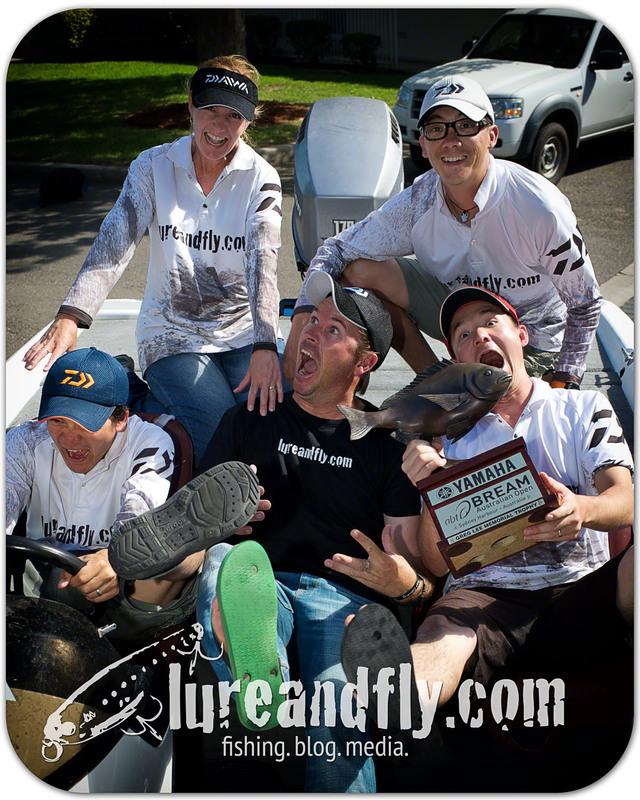 ‘Pick-your-Flicker’ will require participants to nominate who they believe will be the top 5 ‘boaters’ and top 5 ‘non boaters’ for the specified event from the list posted on http://www.lureandfly.com which will not include late entries or any other discrepancies. 2. Selections can be made from the Monday prior to the tournament up until 1700hrs EDST on the briefing day. After 1700hrs EDST on the briefing day, selections will be posted at www.lureandfly.com. 3. Selection to be made at www.lureandfly.com. Participants can follow the links to the specified ‘round’ where they can complete the form nominating (in no particular order) their top 5 ‘boaters’ and top 5 ‘non boaters’. Entry lists will be kept up to date as per BREAM entry lists detailed on the Fishing Monthly Site, with the exception of late entries, and omitting those anglers who nominate not to have their names listed in association with Pick-your-flicker. 4. Only one form per participant per tournament may be submitted. 5. No corrections or alterations may be made after submission of form. 6. Participants are playing for ‘Bragging Rights’ only. a. Points will be allocated to those anglers published in the entry list on http://www.lureandfly.com, in order of final tournament position. i. In the event there is a tie the participant with the highest combined point scores of ‘boaters’ will be deemed the winner. In the event there is still a tie, the participant with the highest ranked nominated ‘boater’ will be deemed the winner. In the event there is still a tie, the participant with the next highest ranked nominated ‘boater’ will be deemed the winner. This shall continue through ‘boater’ and ‘non-boater’ nominations until a winner is determined. In the event that the participant’s have identical nominations – it will be a tie. ii. In the event there is a tied leader board, the participant ranked highest in the Round 1 will be deemed the winner. In the event there is still a tie, the participant ranked highest in Round 2 will be deemed the winner. This shall continue through all rounds until a winner is determined. In the event there is still a tie – it will be a tie. 8. www.lureandfly.com reserves the right to omit any participant from ‘Pick-your-Flicker’ at their sole discretion as well as change any rules and conditions deemed necessary.